The resistance is our internal inertia that keeps us from achieving our goals, dreams and all the good things we strive for. The resistance is what stops us from doing the things we need to do that we know are good for us. It is what makes us hit the snooze button when we know we have to get up to go to work. I had to overcome the resistance when I had to drive across town to go to keiko. Just the thought of sitting in my car for an hour or more, facing bad weather, traffic and stress made me want to skip it altogether and go eat ice cream. 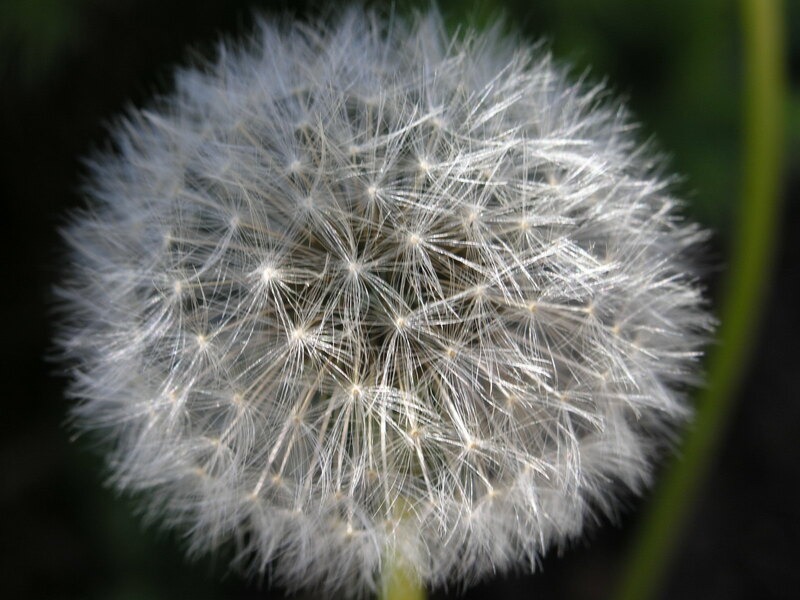 Procrastination – like the snooze button, procrastination is a big one for me. I can always put something off for 10 minutes, an hour, a day, a month or until next year. Distraction – facing a major presentation at work, I can always find something to distract me from working on it, like rearranging my sock drawer or vacuuming the closet. Confusion – Another form of my resistance takes the form of confusion. How can I move forward if I don’t understand it? If I don’t understand it, or am confused, I have to wait until I do understand what is going on or what I need to do. Asking questions – I have so many questions that need to be answered before I can start. What if I run into a problem? How am I supposed to proceed? What do I do if I get stuck? What is the first thing I need to do? Excuses, explanations, reasons – I can always come up with good excuses for not doing something. Likewise, I can always explain why I cannot do it, or why I cannot do it now. There just are so many reasons why I can’t. I just don’t have the time, money, space or bandwidth to do anything now. Feeling inadequate – You know, I am just not experienced enough to take this on. I need more training, education, or a mentor to help me. I couldn’t do that because I am not talented, rich or driven enough to achieve anything. Changing goals – I really didn’t want that, my new goal is this. When I looked at how difficult, time consuming, or how much responsibility it takes, maybe what I want to do is something else. Following other people’s expectations – My mother always wanted me to be a doctor so I guess that is what I want to do. My family wouldn’t put up with me going after that goal, so I will do what they want. One of the things I admire about Mr. Sweetpersimmon is his tenacity. He will wrestle a problem to the ground and pin it. For the past 2 years he has been building me a tea room in our spare bedroom. He did not know how to build it and had never built one before. But he has persisted in drawing up plans, and working through each obstacle as it came up, and there were many, many obstacles. From his own skill level, to sourcing material, to making things fit, to making all kinds of mistakes, he has persisted. Almost every day for the past two years, he has worked on this project. He has rebuilt sections of walls and solved problems where there were no instructions. He researched construction methods, consulted others, figured out answers to problems, and worked and reworked to recover from mistakes. 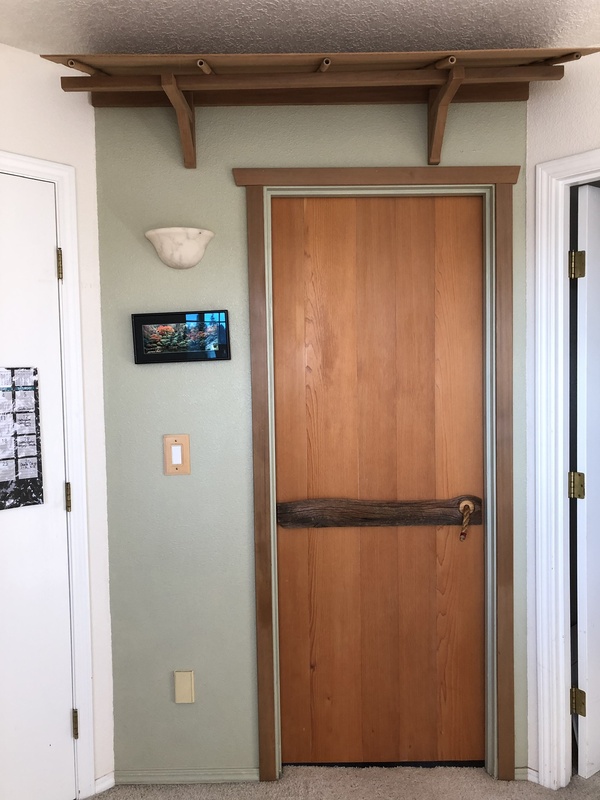 Every day, if he was not actively working on the room, he thought about how to go about moving the project forward or trying to get out of a problem if he was stuck. He persisted. There are so many reasons to quit. What can overcome the urge to give up, quit and do something else? Why do entrepreneurs invest fortunes in time and money to build a company? Why do athletes train every day, or musicians spend hours, days, years in practice? It is the vision of something better, the sense that makes all the effort worthwhile is reaching for something beyond where you are today. Holding the vision, the goal, in front of you, and keeping it bright can help you persist. It can help you move through all of the resistance. For me, I think I need to get into the car and drive across town to go to keiko. I look forward to that sweet and bowl of tea. I am again writing with a heavy heart, in that long time head of the Urasenke Tankokai Portland Association, Wako Henjyoji Sensei has passed away. Condolences to her daughter Florence Harada and all the family members at this difficult time. Henjyoji Sensei was a teacher of not only Chado, but also a Sensei of Ikebana, and a supporter of Shodo and all Japanese culture in Portland. 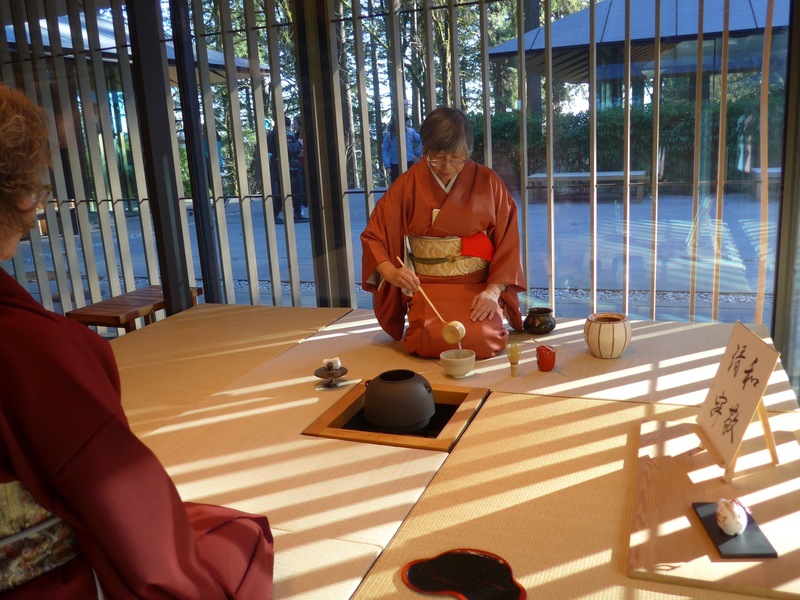 We thank her for the privileges we enjoy in doing tea at Kashintei, the tea house at the Portland Japanese Garden. We also thank her generosity in allowing us to use the Henjyoji Temple as a venue for larger events such as Hatsu chakai and Rikyuki. 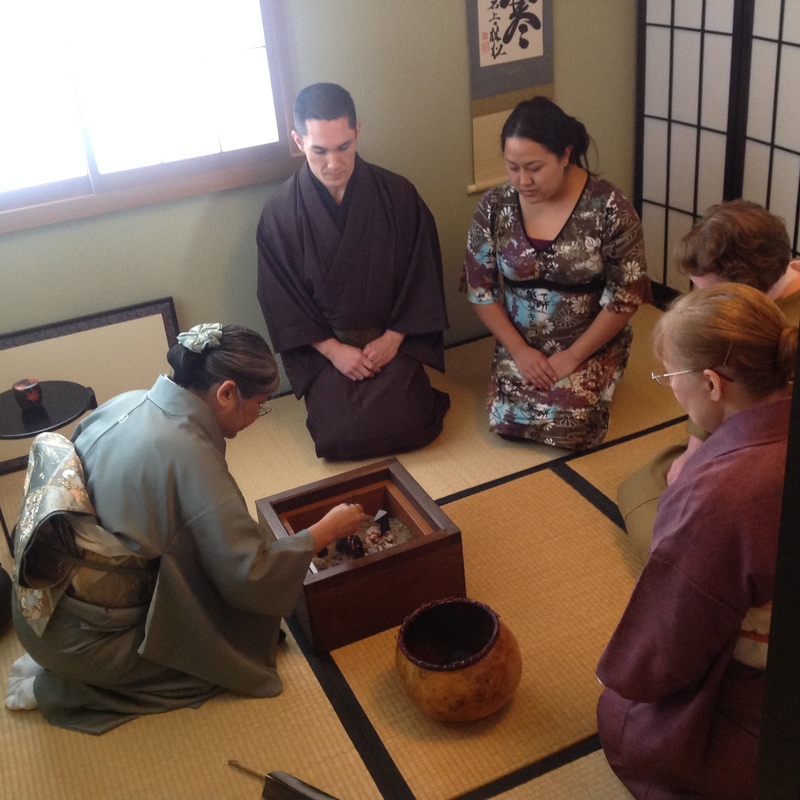 And we thank her for all her contributions to the tea community in Portland and keeping the principles of wa, kei, sei, and jaku alive and flourishing. Henjyoji Sensei’s legacy is written in her students who are now leaders of the Tankokai and members of Kashinteikai. I hope that when my time comes that my students will become the next generation of teachers and make me as proud of them as I am sure Henjyoji Sensei is of her students. It is such a loss to the tea community in Portland and I know that this is not the last entry I will be writing, but to honor her memory I will strive to do my best to pass on the spirit of Chado to a new generation of students. This kansha is not just gratitude for host making tea. It is also gratitude for the person who grew the tea, the person who picked the tea, the person who processed the tea, packaged the tea, and transported the tea. It is also gratitude to the person who made the charcoal to boil the water to make tea, the person who harvested the wood to make the charcoal, and built the kiln, cut the charcoal, packaged it and shipped it. 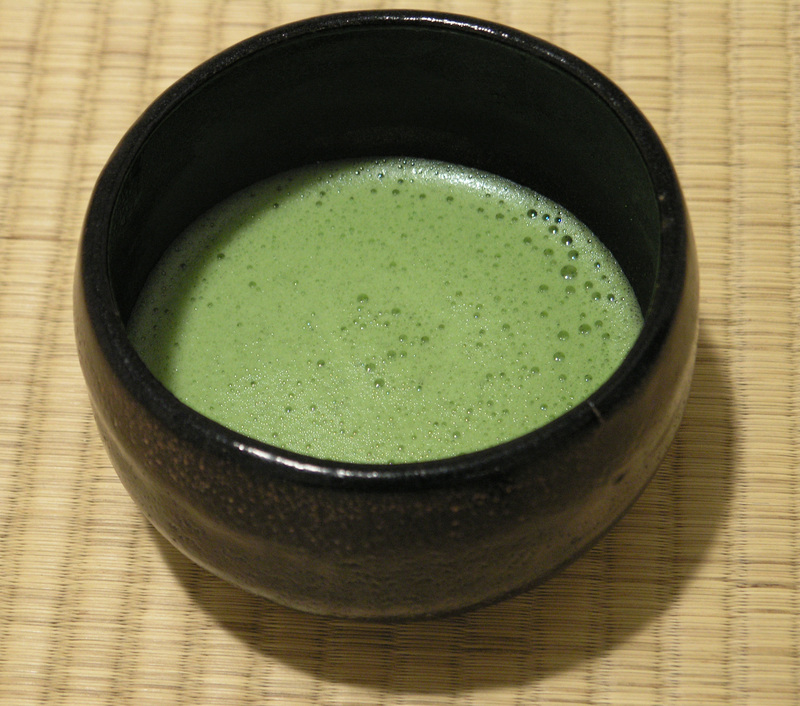 It is also gratitude to the person who made the tea bowl, fired it, built the kiln and dug the clay. It is also the person who made the tatami on which we are sitting, the person who harvested the grass, wove the mat, installed the tatami. Gratitude also for the kettle maker, the architect who designed the tea house, and people who built it. In fact, kansha for everyone who made it possible for me to drink and enjoy this bowl of tea. The more I think about it, the more people I have to thank to make this moment possible. 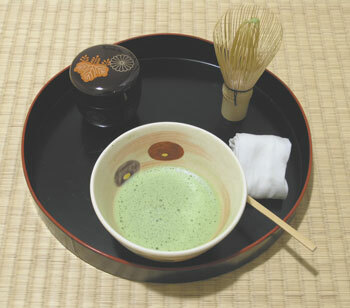 Even for something as simple as enjoying a bowl of tea, so many people contribute to it. Here is a book about One man’s journey to thank everyone for his morning cup of coffee. It is amazing how many people he found to thank on this journey and the lessons that he learned from it. It is like pulling a thread in a cloth that leads to more threads. And like the fabric, I see that people are interconnected and woven into my life at this moment. The act of kansha and acknowleging the role people play in my life has made me a more empathetic and generous person. We can simply acknowlege people by being present and thanking them sincerely. The receptionist who checks you in, the bank teller, the waitress, or grocery clerk are all woven into your life, if only for a moment. I don’t know how many times people have said it made their day when I have looked them in the eyes and (called them by name if possible) sincerely said thank you. 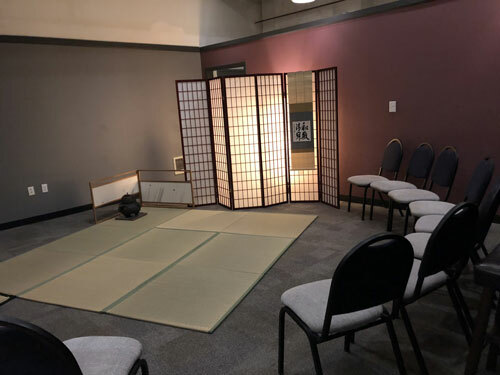 When I do tea presentations at different venues, I need to set up the tatami, shoji and tea room as well as set up the mizuya. It takes about an hour to pack every thing up and load the car, an hour to heat water, clean and set up at the venue, an hour to do the presentation, and about an hour to clean up, pack and load the car and about an hour to unload, unpack and re-wash all the dogu at home. 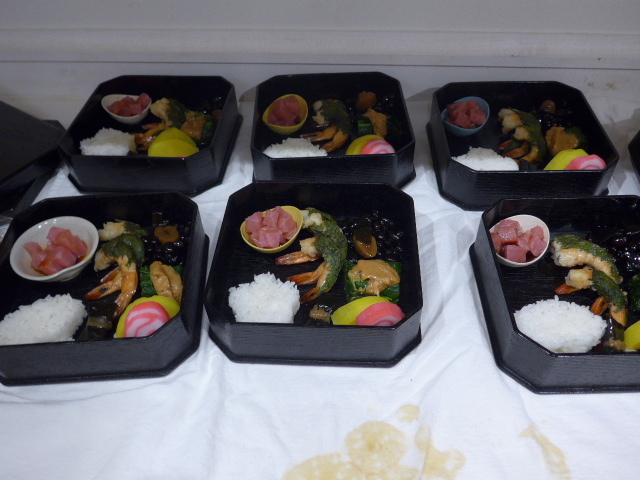 That is about 6 hours of work not to mention the time it takes to get to the venue and get into kimono. I also teach at rented space where I have to do the same set up before class, and pack everything up after class. For a tea lesson, it takes just as much time for me to teach one student as it takes 3-4 students. As I was setting up the other day, I had a student helping me. She said, “I had no idea it was so much work to get ready for class. How can you do all this work just to teach an hour and a half class?” For me, the work and the discipline to do the work is just part of tea. It is like weavers, you need to warp the loom (string the vertical threads on the loom) before you can start weaving the horizontal threads. You cannot weave without vertical threads, so warping the loom is an essential part of weaving. Cleaning before, cleaning after and cleaning during tea, that is just part of the work. As we are setting up in the mizuya we are cleaning. As we are wiping the tatami, we are cleaning. In the acts of cleaning, we are preparing ourselves to make tea. 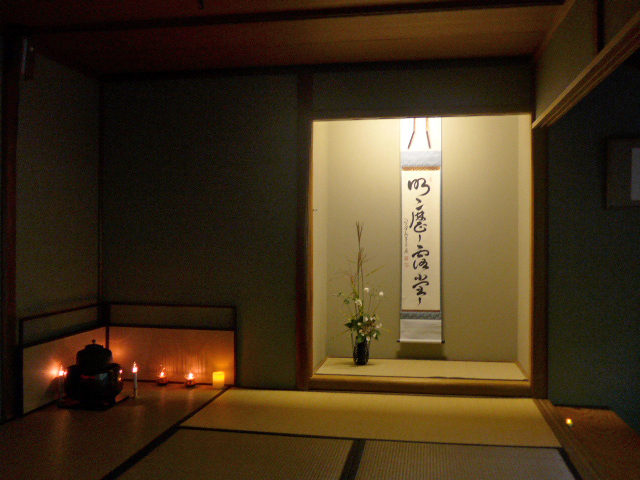 When we are cleaning up the mizuya, wiping tatami afterwards these are acts of respect and gratitude. Doing the work doesn’t just apply to tea. Doing the work can mean the emotional working things out in relationships. It can mean doing the work of keeping up with friendships. It can mean making the hard decsions, being on time, and doing your best. In our life, doing the work of adulting, of cleaning up before and afterwards are acts of preparation, respect and gratitude.